FULL MOON'S BUNKER OF BLOOD screams open for its seventh and penultimate episode. This time we're not clowning around as we drag The Gore Collector and his eerie entourage into the cotton candy-colored guts of KILLJOY'S CARNAGE CARAVAN, a three-ring circus of freaky frights and evil effluvia! In between the very walls of time itself, the sinister group of Draconian doctors known only as the Circle of Psycho Surgeons continues to perform horrific experiments on unwitting subjects. But one of their tormented "patients" has returned for revenge! Now, The Gore Collector, and his multiversal traveling companions, Molly and Tape Head, have finally uncovered the whereabouts of the Psycho Surgeons and get set to exact the bloodiest of revenge. But what does this mean for the The Gore Collector himself? As he returns to where it all started - the Bunker of Blood - he will find out what this splatter-soaked road trip across a a fevered nightmarescape has REALLY done to his mind AND body! 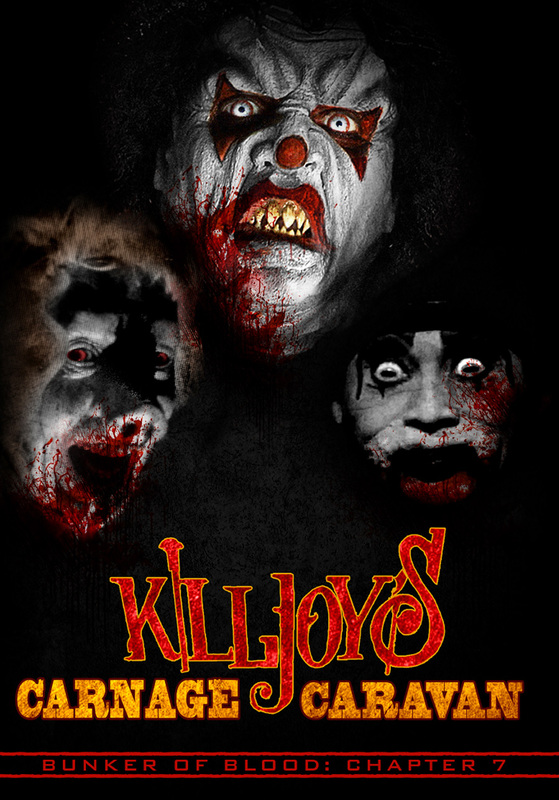 KILLJOY'S CARNAGE CARAVAN comes armed to the grease-painted gills with outrageous scenes from far-out Full Moon classics like KILLJOY 3, KILLJOY GOES TO HELL and KILLJOY'S PSYCHO CIRCUS and also jams in some of the strangest sequences from other clown-centric cult films like EVIL BONG 666 and much more. 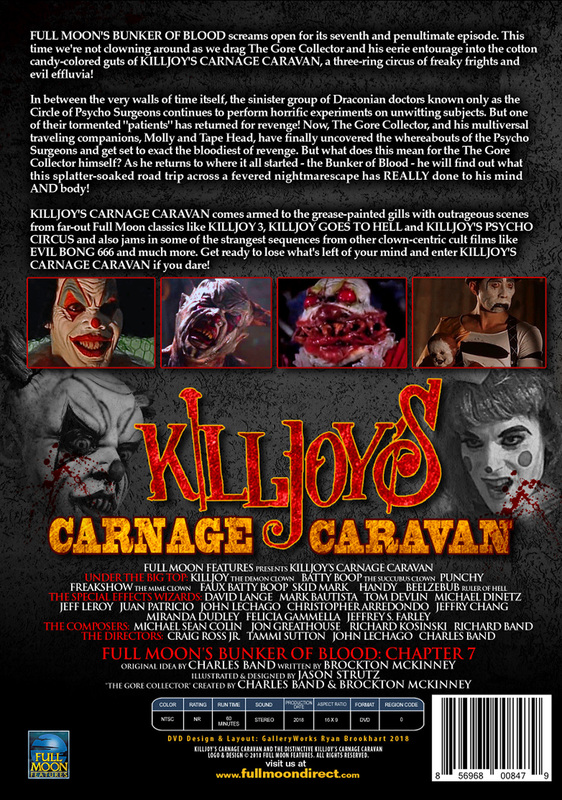 Get ready to lose what's left of your mind and enter KILLJOY'S CARNAGE CARAVAN if you dare!